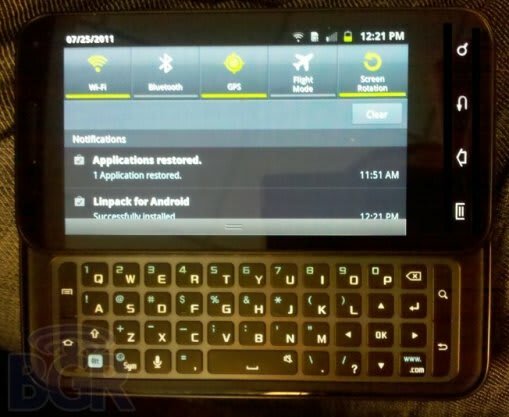 Leaked: Is This AT&T's Galaxy S II Phone? We know that Samsung&apos;s Galaxy S II phones are coming to US carriers in August, but what we don&apos;t know is what spin each carrier will put on the phone in order to make it their own. BGR has photos of what they claim is AT&T&apos;s version of Samsung&apos;s super phone, rumored to be called the Attain. The device is a full QWERTY slider with an 8 megapixel camera on back. It looks drastically different from the base model Galaxy S II, but the model number on display in the leaked photos checks out. Mobile enthusiasts will remember that the original Galaxy S came with a similar facelift as Sprint&apos;s Epic 4G. We&apos;ll keep you posted as more details become available.